Published 02.04.2017 at 1817 × 1969 in Singing Bach’s “St. John Passion” in English. Sunlight streams over music. 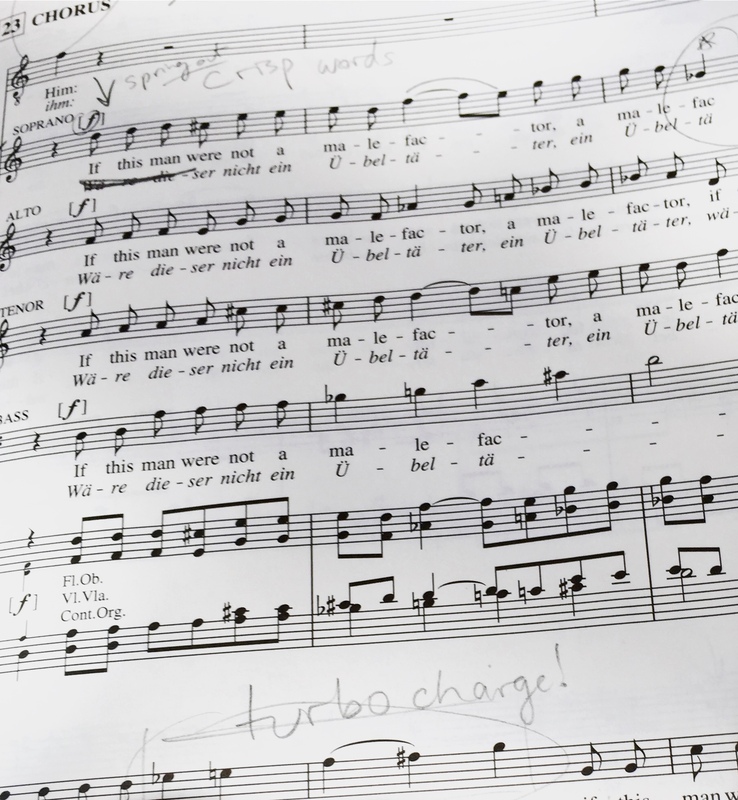 Yes, we were told to write “turbo charge” in our scores.